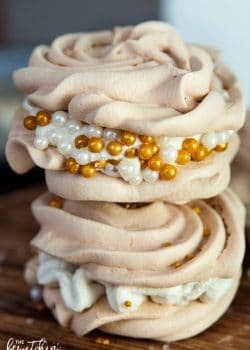 I’m loving how these Christmas Meringues turned out and paired with the eggnog buttercream, they’re so yummy! 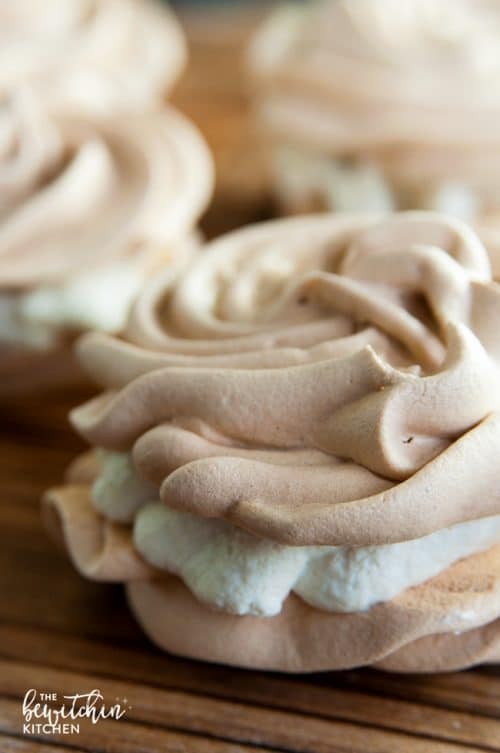 Give me the choice of a meringue vs a chocolate chip cookie and meringues win every time. They’re lighter and also a few calories less than your traditional, Canadian, cookie. I feel that it’s important to note that I’m no expert. 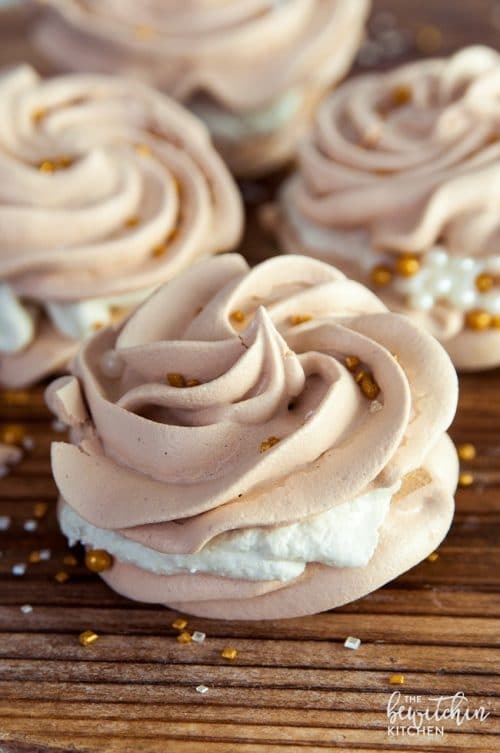 I learn on the fly and that’s exactly what I did with these Christmas Meringues. 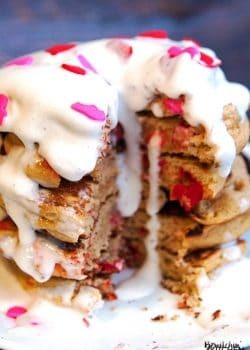 I simply added my ingredients together and whisked it on high until still peaks formed and the egg whites were glossy and frosting like (see above photo). After that I crossed my fingers and wished for the best. 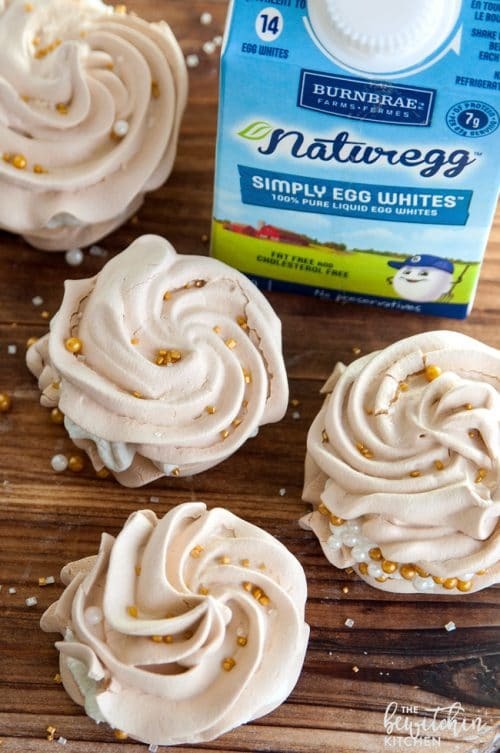 To make baking even easier, I used Burnbrae Farms Naturegg Simply Egg Whites. By doing this, I saved myself the stress of shells falling in the Christmas Meringues, saved a little time, and saved my hands from getting gross. That and I didn’t have to throw away any yolks (that’s the part that bugs me the most when I separate yolks and whites). I, personally, have been buying Naturegg for years now because I love how it saves me time and allows me to eat healthier with little effort. 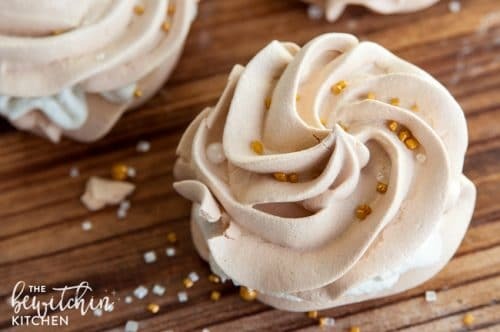 This is my first time using them with meringues and they turned out great. 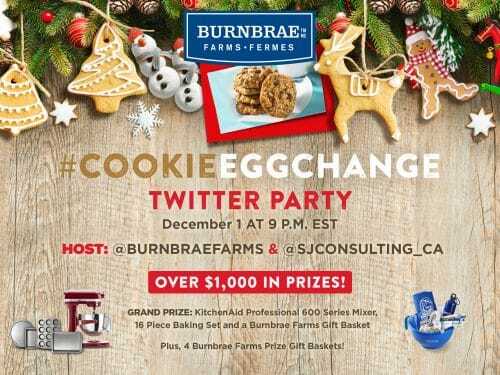 Join me on November 29th for a fun Holiday #CookieEggChange Twitter Party! When: December 1 at 9pm EST. Prizing: Prizes are worth over $1000! This was the first time that I have made meringues, where I was patient enough to wait. I usually still eat them warm and ruin them by doing so. I let them dry out and by doing that, I found out just how delicate they are. Don’t do what I did and manhandle them. They will chip and crack (as you can see by a few of the photos) but don’t be intimidated either. Baking is fun and it’s a learning experience every time I do it. It should be for you as well. Preheat over to 225 F.
Add the egg whites and turn your mixer you high until they're foamy. Add the brown sugar and cinnamon, beat for 1 minute. Add cream of tartar and optional food coloring. Beat until stiff peaks form. I did this on high for ten minutes, on and off. Spoon into a piping bag (or in my case, reusable bag) and pipe onto a baking sheet, lined with parchment paper. Bake for 2 1/2 hours and then shut the oven off (do not open the door) and let the Christmas Meringues sit and dry out for 6-8 hours. Add the butter and sugar to a large bowl (or to your stand mixer). Beat for 2-3 minutes. Add the eggnog and flavoring. 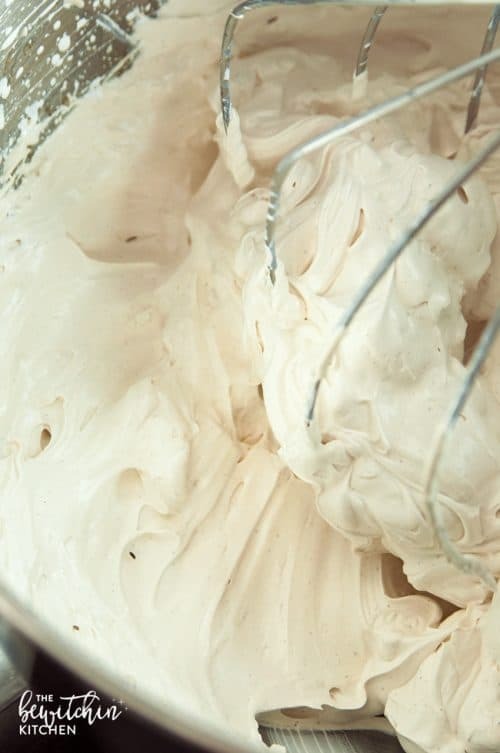 Whip on high for 5-6 minutes, pausing to push down any frosting that raises up on the sides. 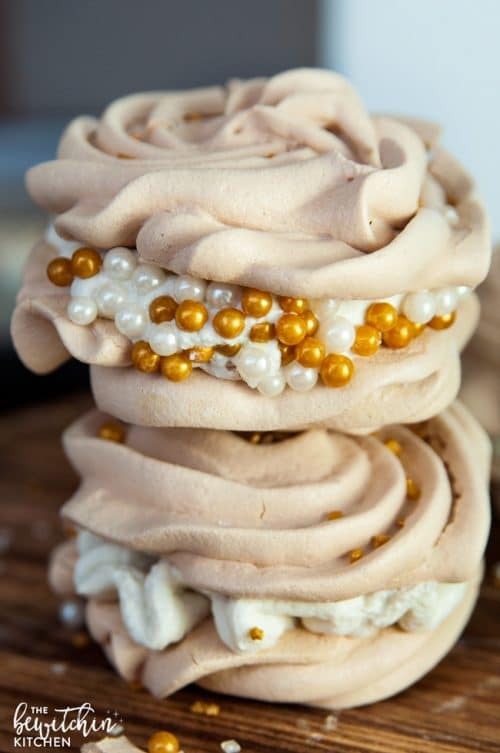 Gently remove the meringues off the parchment paper and pipe the buttercream on to the back. Top with another meringue. 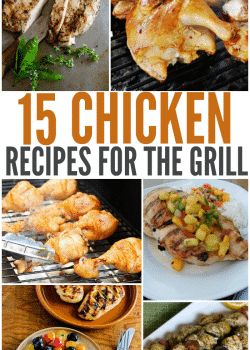 Follow On Pinterest Follow @randaderkson On Pinterest for more delicious recipes! 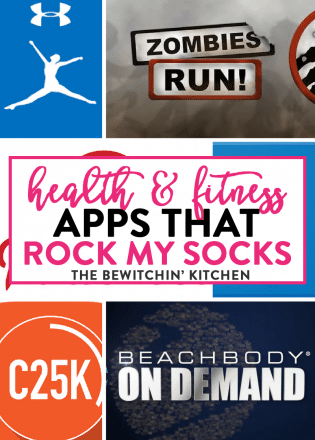 Tried this recipe?Mention @bewitchinkitchen or tag #bewitchinkitchen so I can see it! Don’t forget to like Burnbrae Farms on their social channels: Facebook, Twitter, and Pinterest. Find more Holiday Cookie recipes on their site as well! 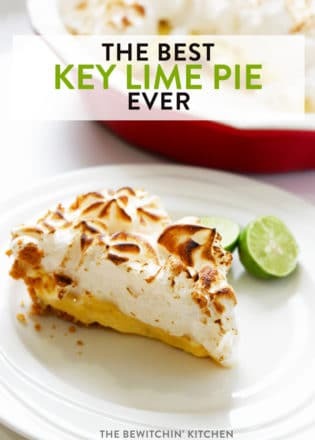 If you like this recipe, then don’t forget to send it to your friends! Disclosure: I am participating in the Burnbrae Farms campaign managed by SJ Consulting. I received compensation in exchange for my participation in this campaign. The opinions on this blog are my own. 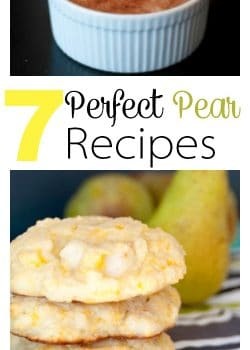 I can’t wait to try this recipe out. My kids love anything meringues. Thank you! These are beautiful! I am definitely giving them a try! Thank you Helen! Happy baking. Good catch. Add the eggnog, I’ll change that now. I based this off my regular buttercream recipe so I had whipped cream on the brain. Sry, if I want to use regular egg whites, how many would I need? These are so beautiful. I’m going to have to give them a try. My family will appreciate it too, because they are all about eggnog. How cute are these. Eggnog everything this time of year. I love it ! Roughly how many does this recipe make? I don’t see that listed anywhere. I was experimenting with different sizes, so I couldn’t get a proper number. It depends on how big you make them. Little 24-30, big 12-14. How stable would you say these are? Should they be refrigerated? I left them out a little longer than I should have, but I survived. I’m usually a food safe junkie, so yes – put them in the fridge (because of the eggnog). 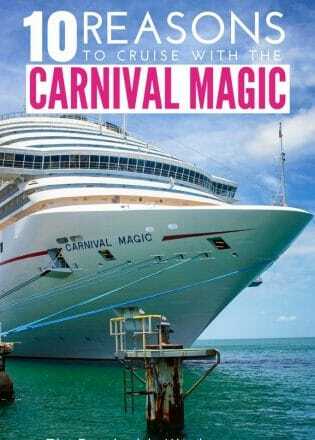 Could you add a splash of rum instead of the extract?